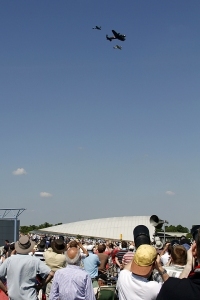 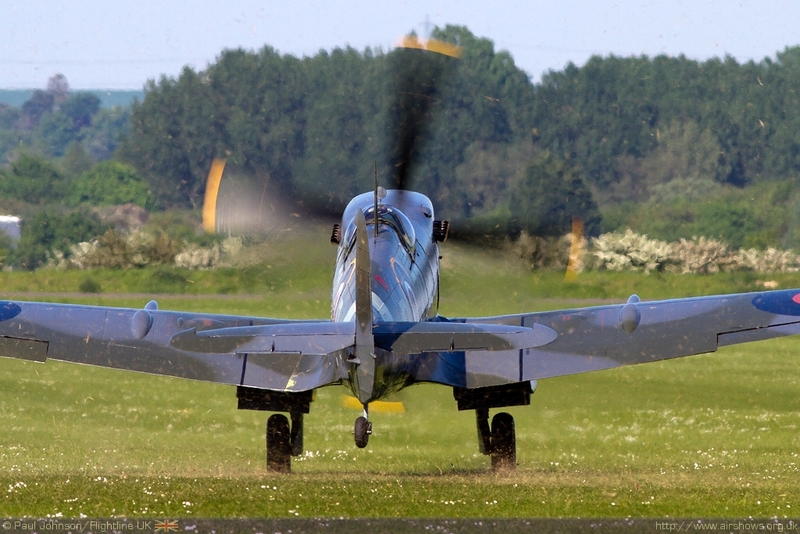 For many, the true start of the airshow season only comes with the opening Duxford show if the season. 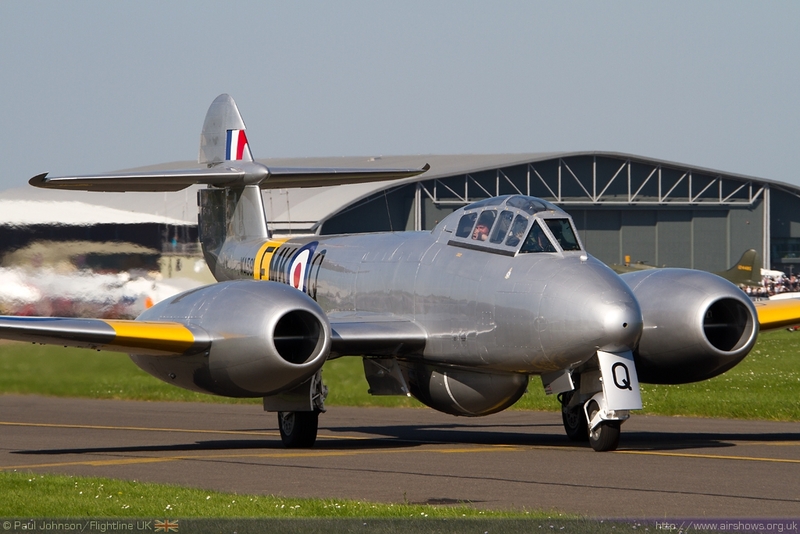 This year that saw Duxford celebrate the Queen’s Diamond Jubilee through a display reflecting the links between the Royal Family, Aviation and Duxford Airfield. 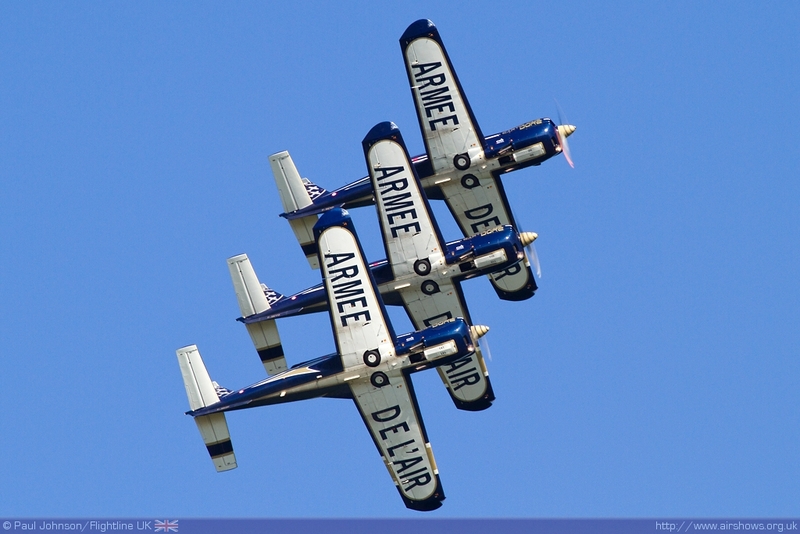 The Jubilee Airshow line-up was particularly strong with exceptional support from the Royal Air Force and Royal Navy plus other colourful military participants from the French Air Force and Belgian Air Component. 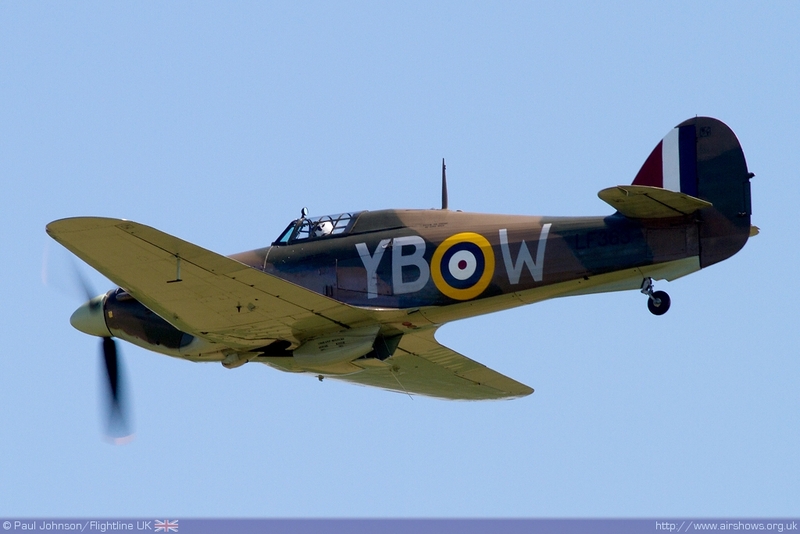 There was also the usual Duxford mix of warbirds and civilian displays. 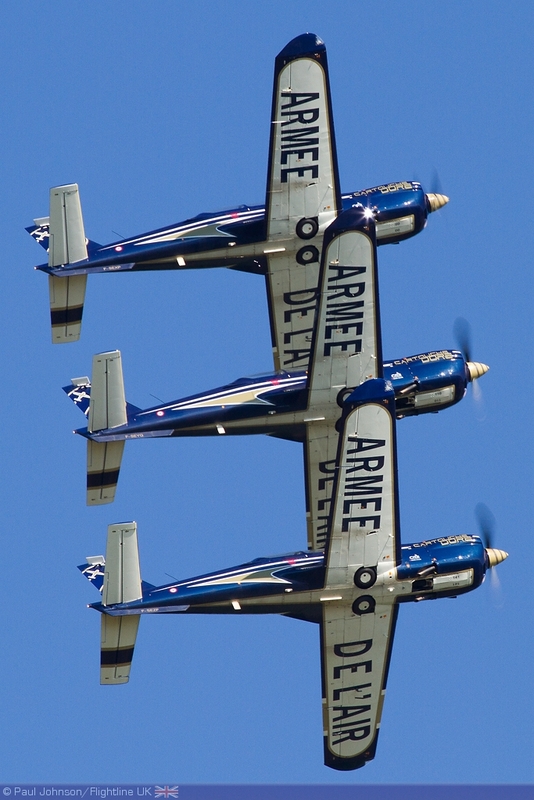 If there is one airshow venue in the UK that can be relied upon for quality air displays, it is Duxford which not only has an amazing collection of based historic types, but always enjoys strong support from the armed services. 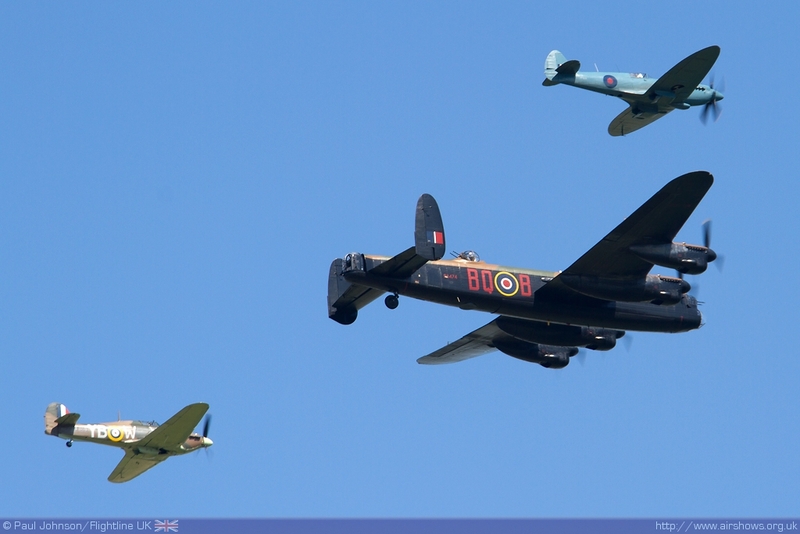 Perhaps it was the sense of occasion, but the Jubilee Airshow was a particularly fine Duxford event with a stellar line up of participants from across the spectrum of air displays. 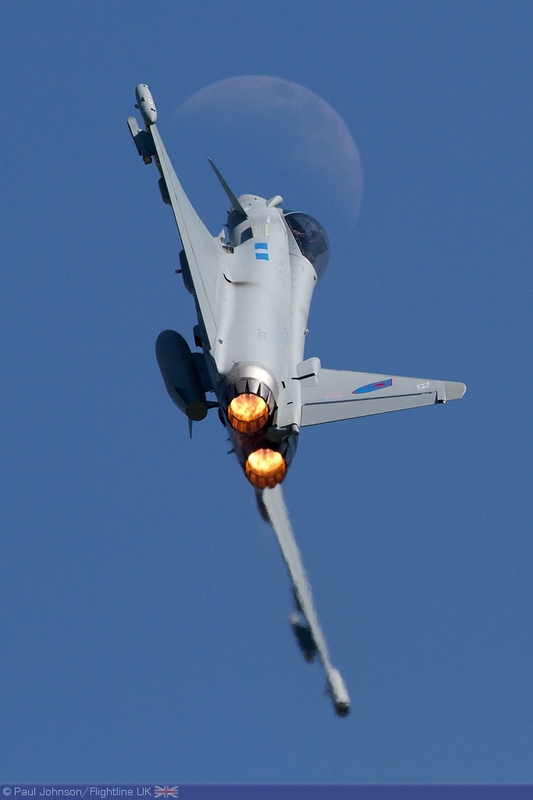 The weather also seemed to get in on the act with perhaps some of the best weather ever seen at Duxford with near cloud-less blue skies and warm temperatures. 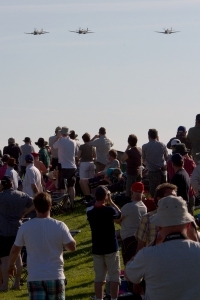 Together the line-up and the weather attracted over 17,000 spectators to the first Duxford show of the season which meant many areas were standing room only. 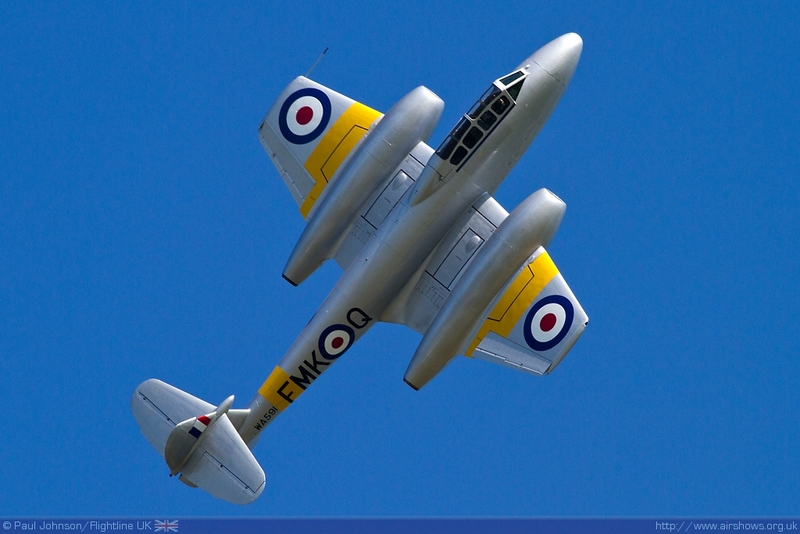 Rather than just celebrate the 60 years of Queen Elizabeth II’s reign, the show reflected the long association between the Royal Family, Aviation and Duxford with an impressive array of types that only Duxford could muster. Duxford itself is no stranger to Royalty either during its left as the Imperial War Museum or as RAF Duxford. 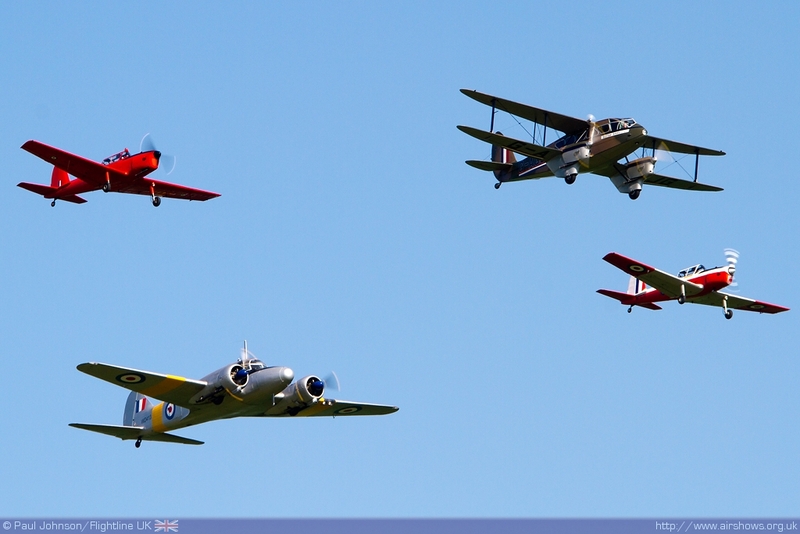 In 1935 Duxford was central part of the jubilee of King George V when it witnessed a large Royal Air Force flypast which flew from RAF Mildenhall to Duxford. 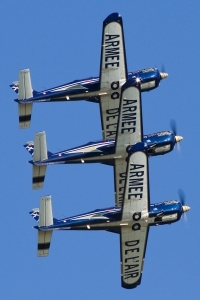 The Hawker bi-planes that participated in the review were represented by the unique pair of Hawker Nimrods flown by Charlie Brown and Stu Goldspink. 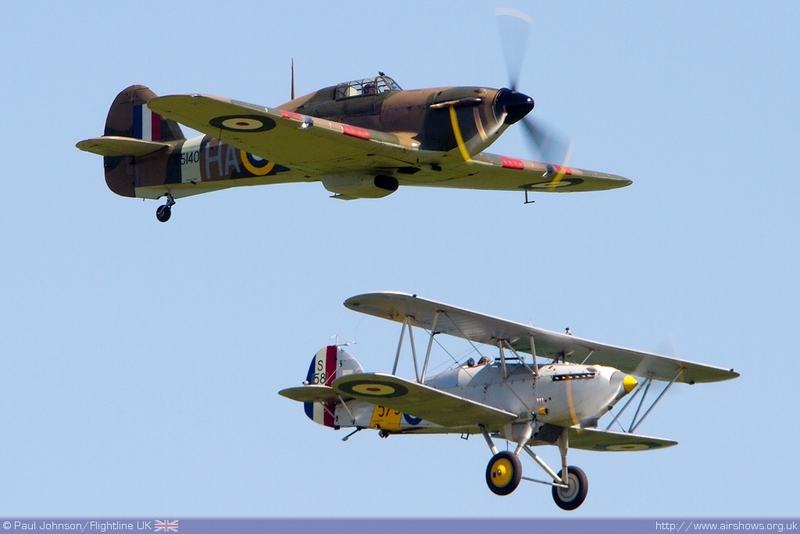 The Nimrods were joined by the Hawker Hurricane XII of the Historic Aircraft Collection to present a pleasing tribute to Hawker Aviation. 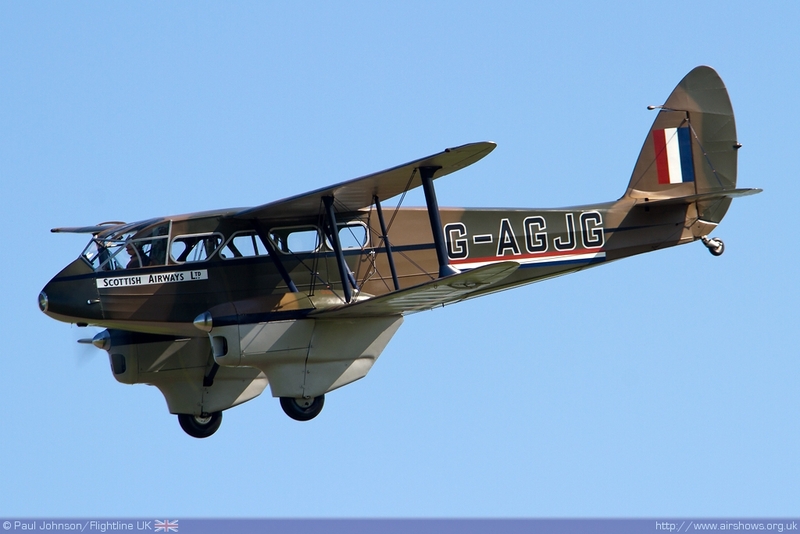 That review also saw Prince Edward fly himself to Duxford in his own De Havilland Dragon Rapide which went on to be a founding aircraft of the King’s Flight. 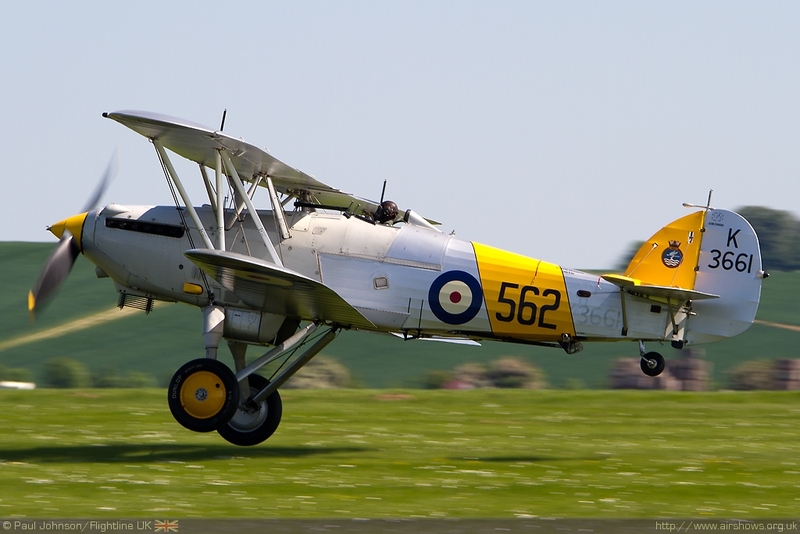 The Dragon Rapide is an aircraft that had a long association with royal flying so it inclusion of D & M Miller’s beautiful example led a unique formation of types in the flying display. 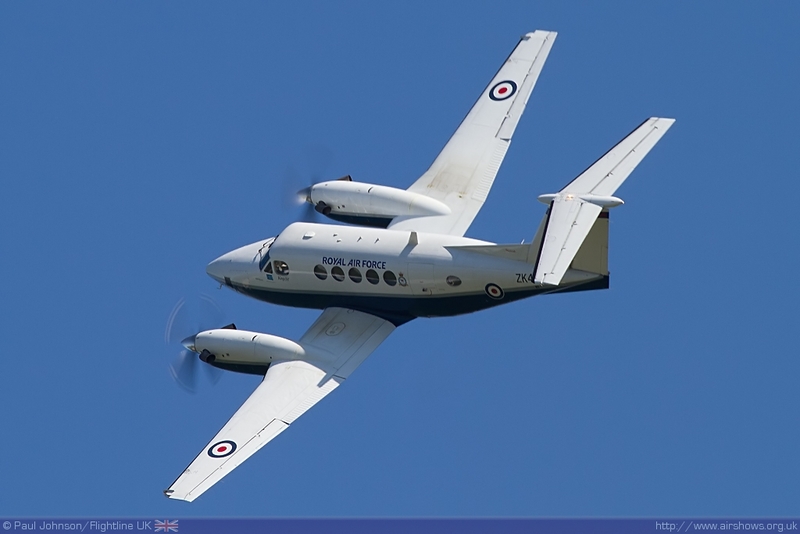 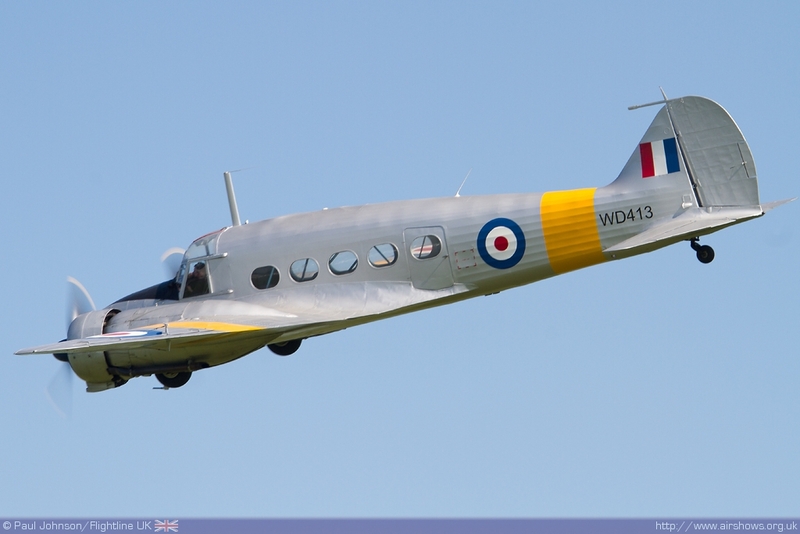 Following the Rapide was the Classic Aircraft Trust’s Avro Anson T21 which represented the wartime transport examples that served with squadrons charged with providing VIP transports. 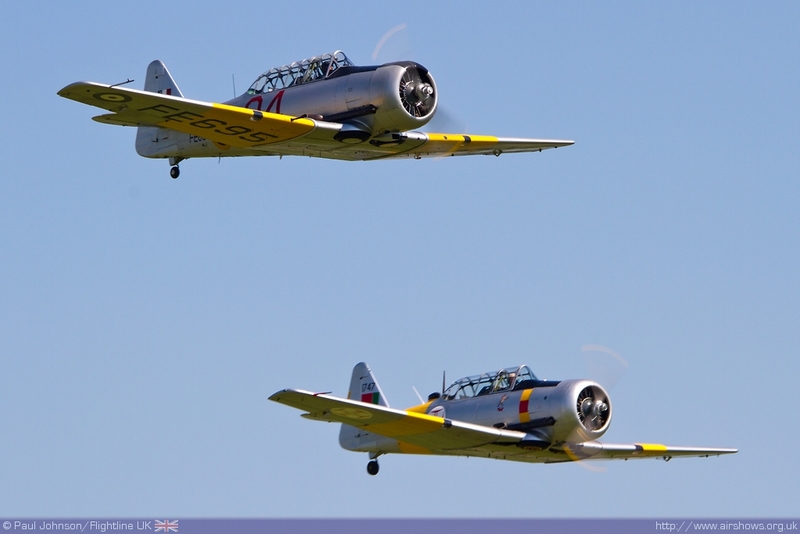 Completing the formation were a pair of De Havilland Canada Chipmunk T10s. 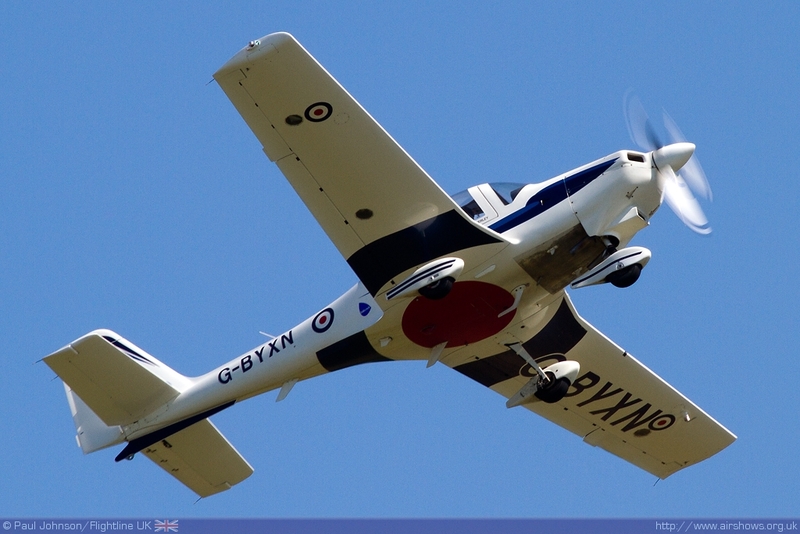 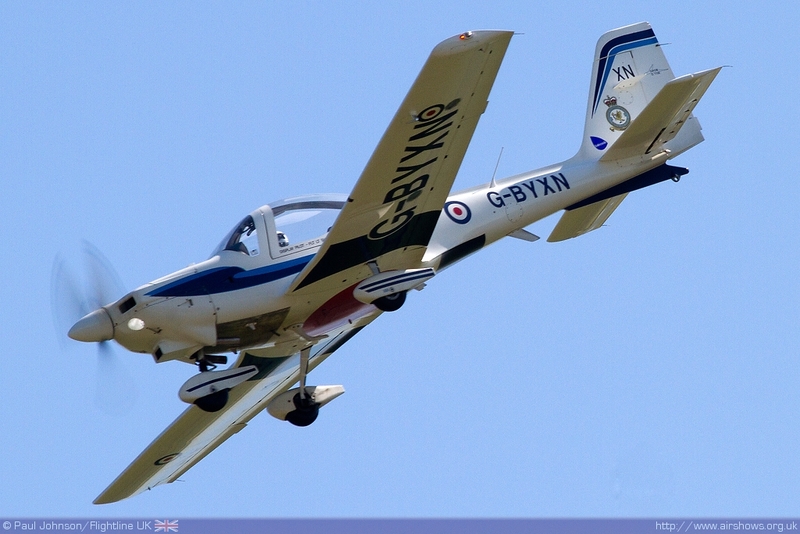 Several members of the Royal family have learnt to fly in the Chipmunk at the start of their flying careers. 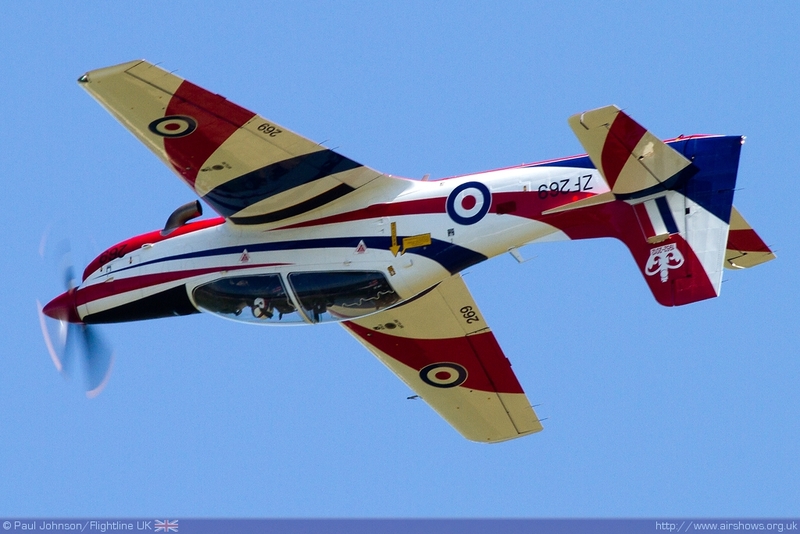 One of the Chipmunks in the formation, WP903 was the actual example Prince Charles learnt to fly in and it wears the bright red colours of the Queen’s Flight with an extra red beacon fitted to the top of the canopy. 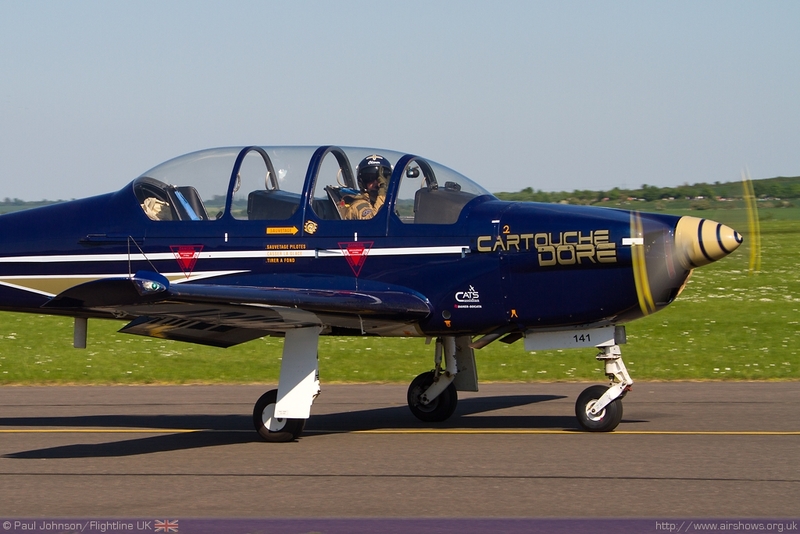 Prince Charles’ father, the Duke of Edinburgh was also a keen aviator and he also learnt to fly with the Royal air Force flying numerous types including the North American Harvard which was represented by the pairing of examples from the Fighter Collection and Aircraft Restoration Company flown by Anna Walker and John Dodd. 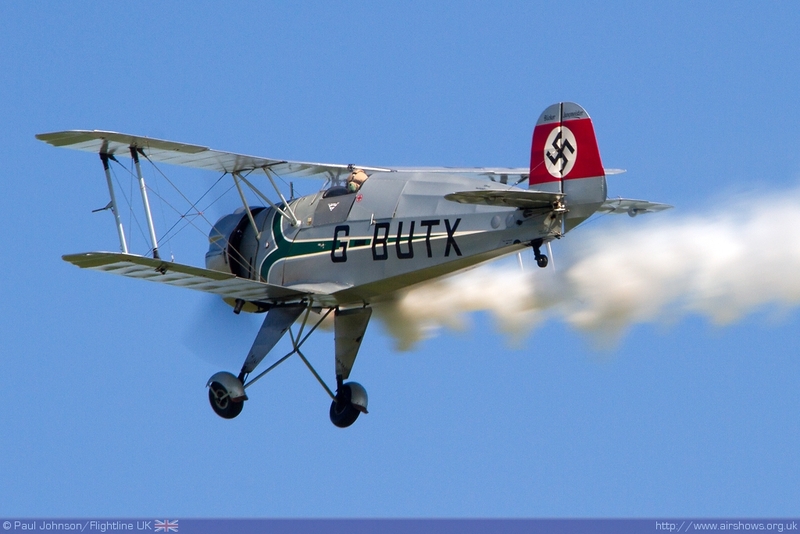 Away from the Jubilee celebrations there was a nod to this summer’s Olympics with Gordon Brander’s Bucker Jungmeister being put through an aerobatic routine. 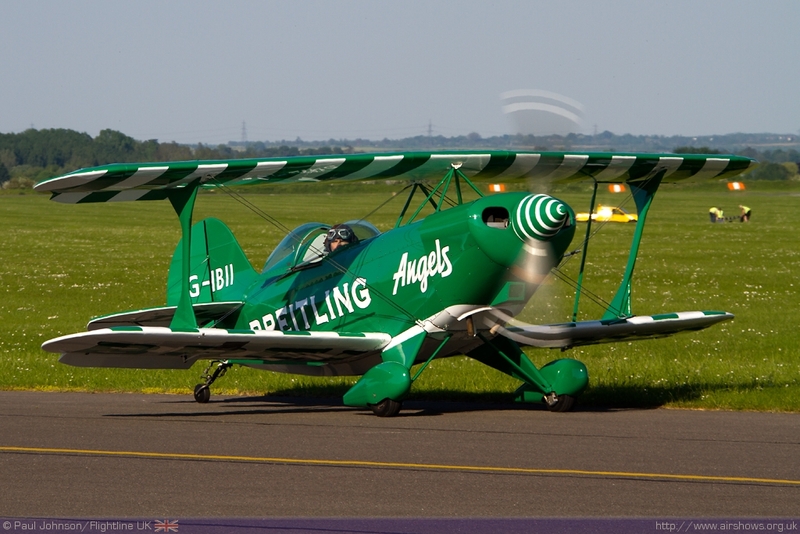 Competition Aerobatics formed part of the 1938 Berlin Olympics and the Jungmeister was one of the types used by the competing nations. 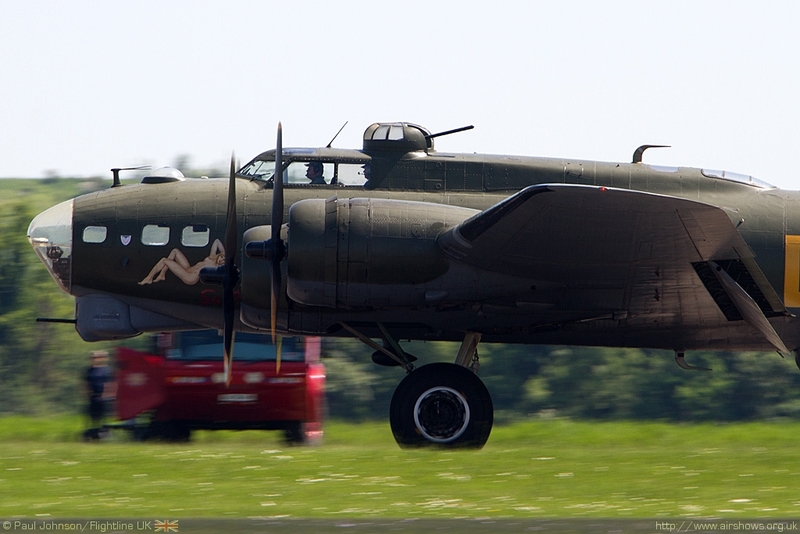 There was more warbird action from B-17G Flying Fortress Sally-B which was one of the opening displays representing the sacrifice of American aircrews during the Second World War. 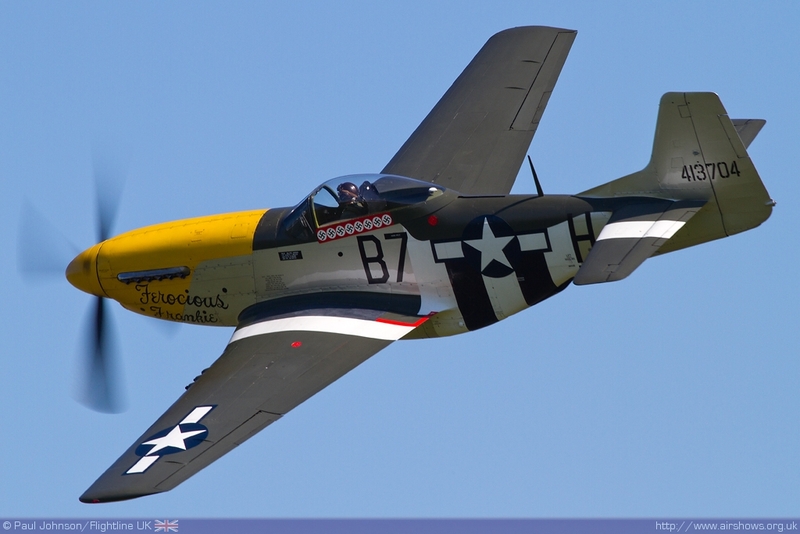 Though it was not part of the formal flying display, crowds were also treated to a brief appearance by the Old Flying Machine Company’s P-51D Mustang Ferocious Frankie as it departed and arrived back from the Southend Airshow. 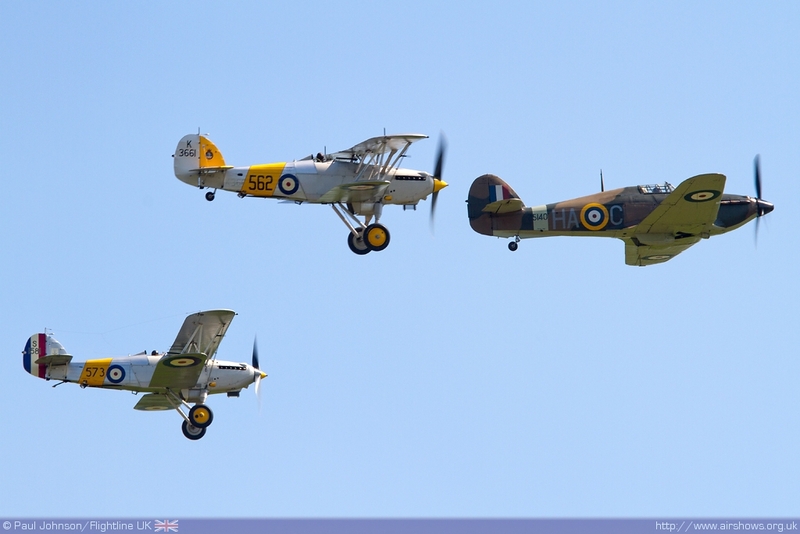 No Duxford airshow would be complete without participation from the Battle of Britain Memorial Flight. 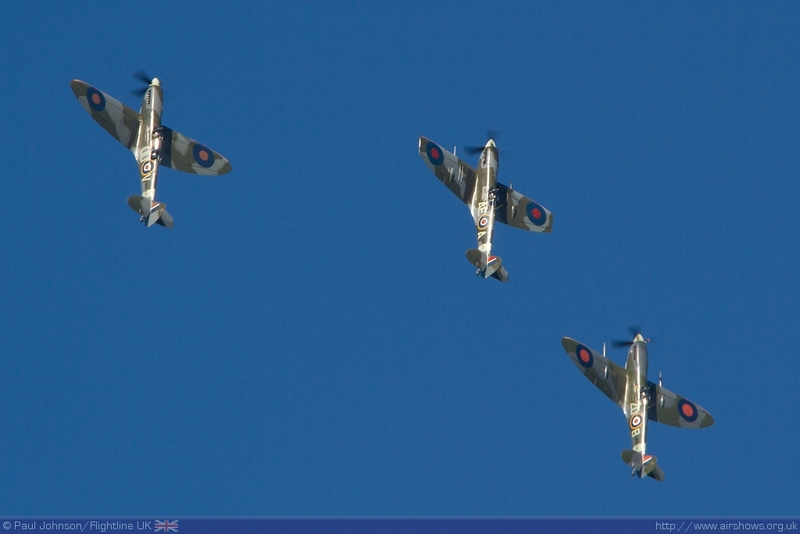 For the Jubilee Airshow the flight presented its Spitfire PR XIX, Hurricane IIc and Lancaster which flew their standard display on their way home from Southend. 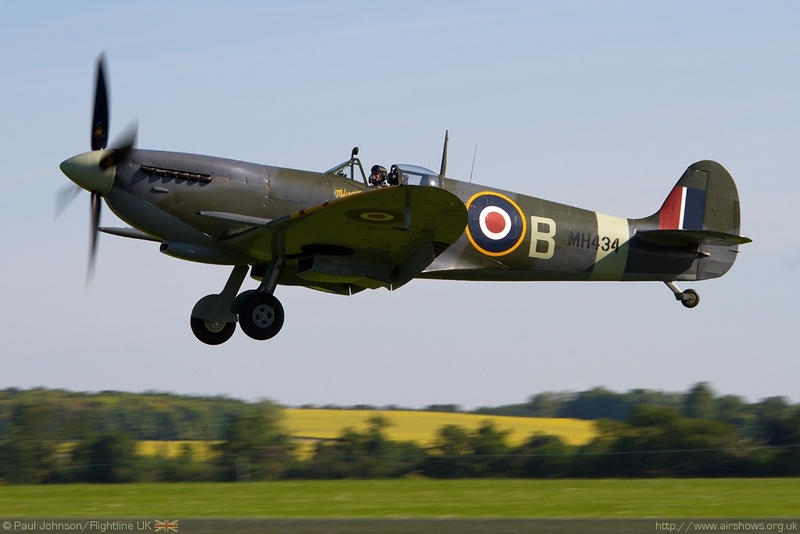 Further Spitfires closed the flying with TFC’s Spitfire V, OFMC Spitfire IX and the Grace Spitfire IXT flown though a balletic aerobatic routine by Brian Smith, Paul Bonhomme and Pete Kynsey. 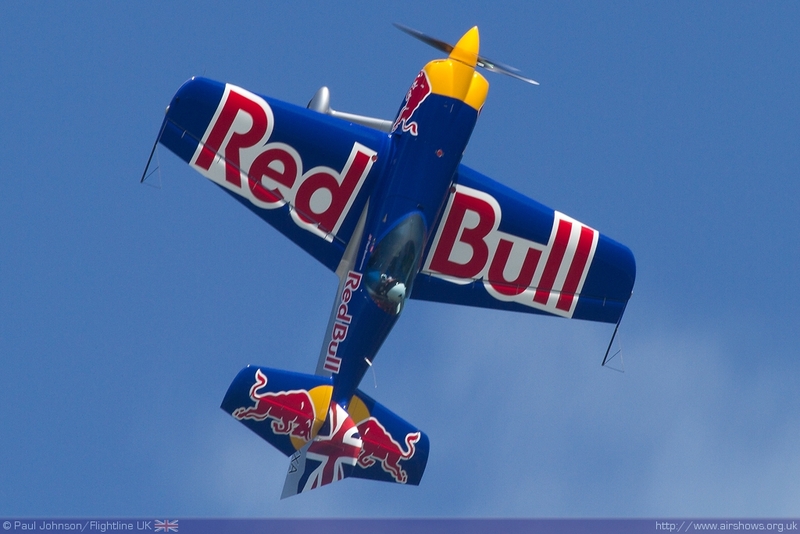 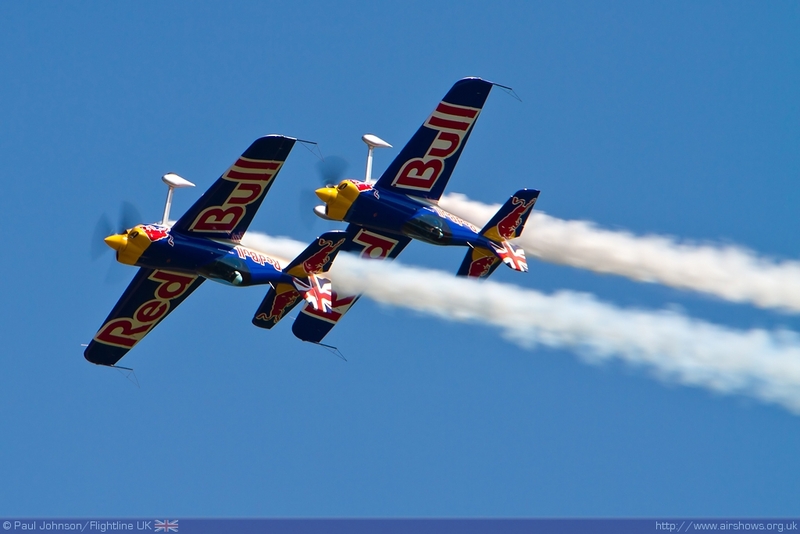 Paul Bonhomme also flew as part of the Matadors display with fellow Red Bull Air Racer Steve Jones. 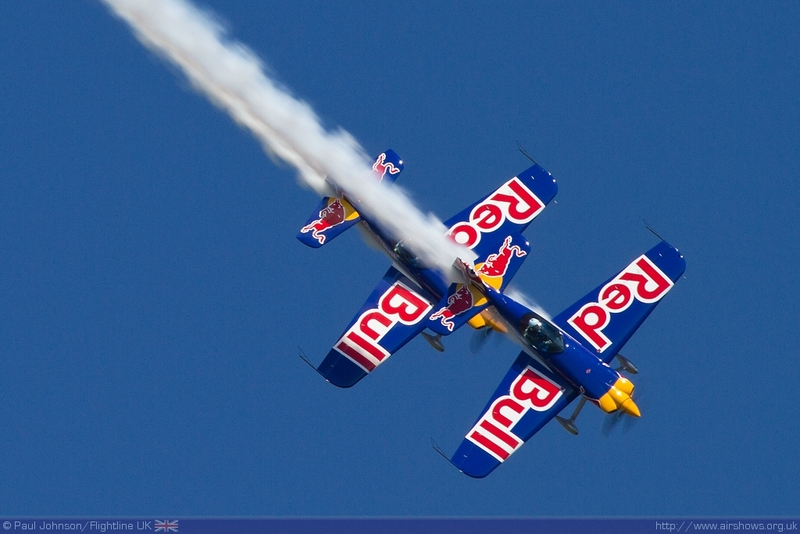 The Matadors Sbach 300’s have received Red Bull colours over the winter and they look stunning. 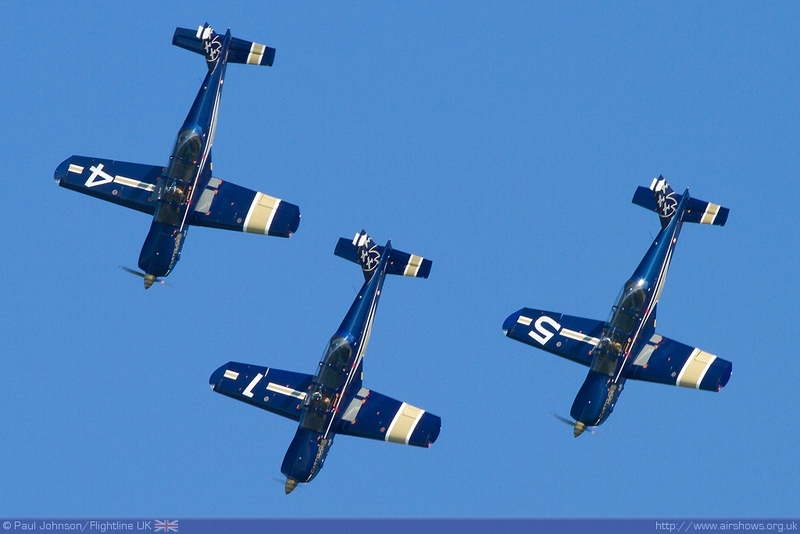 As ever the Matadors display was nothing short of aerobatic perfection in the clear Cambridgeshire skies. 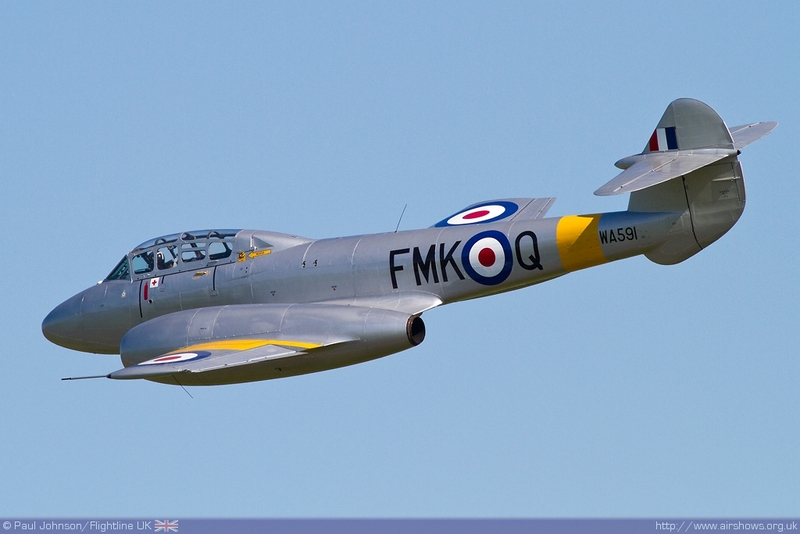 The only classic jet, and perhaps one of the real show stars was the Meteor Flight’s Gloster Meteor T7 flown by Dan Griffiths. 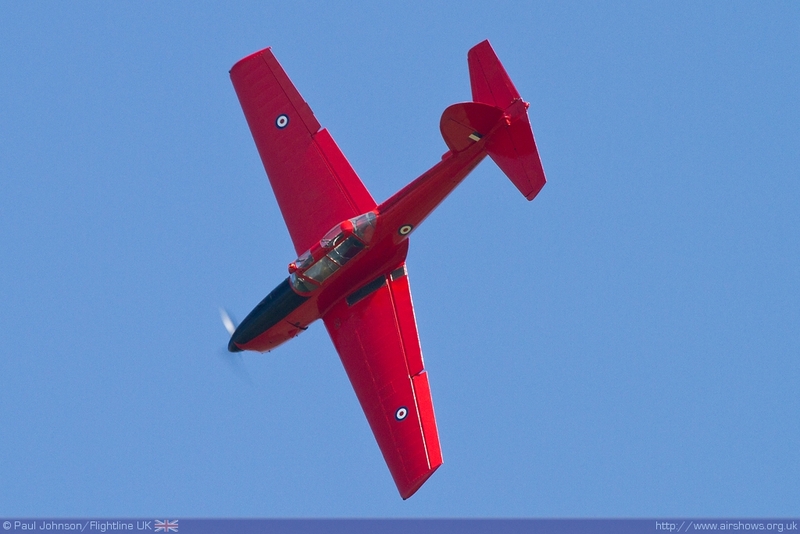 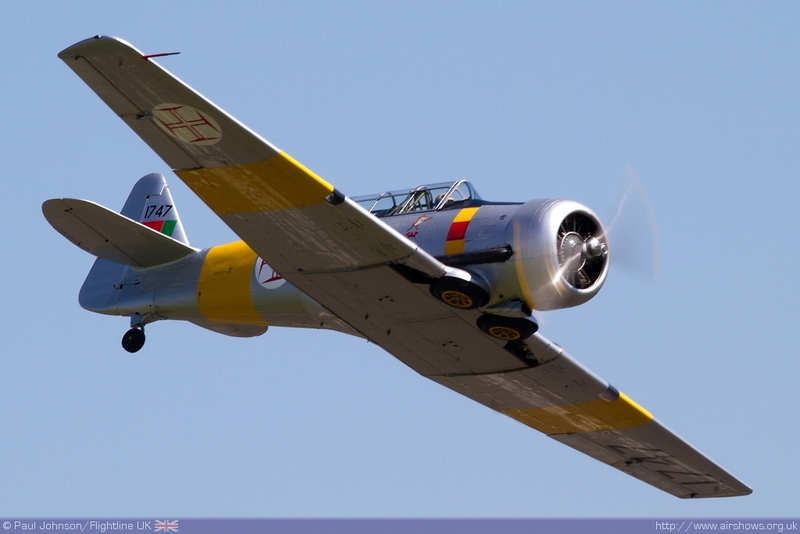 Not only is this, the oldest British jet aircraft still flying, a stunning restoration but Dan’s display in the aircraft is beautiful and sweeping passes, wing overs and loops. 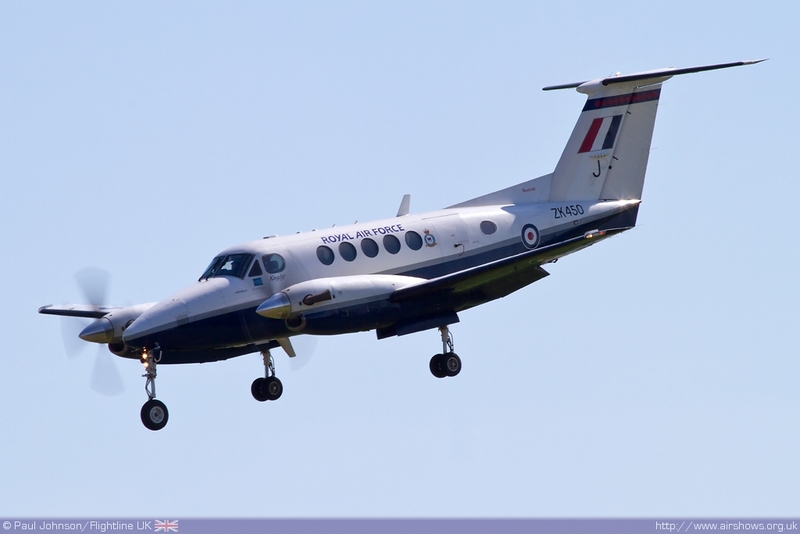 Perhaps the most notable feature of the Jubilee Airshow was the level of military participation. 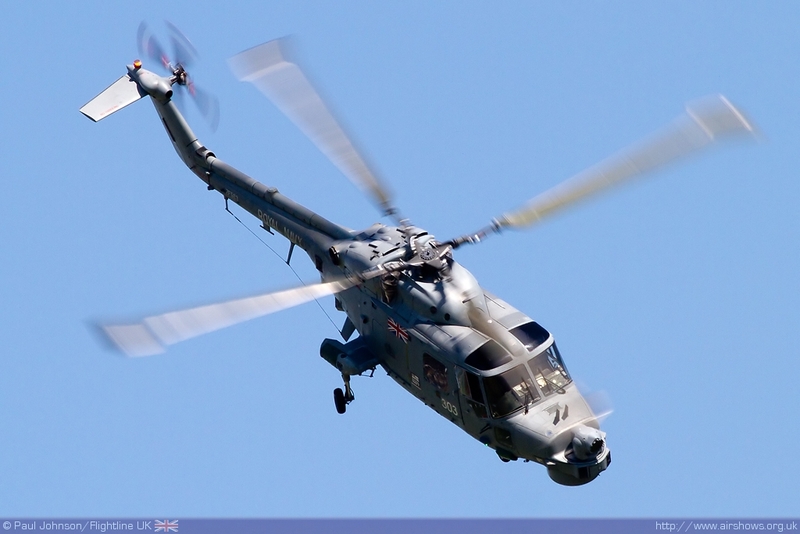 The senior service provided a solo Westland Lynx HMA8 from 815 NAS based at RNAS Yeovilton. 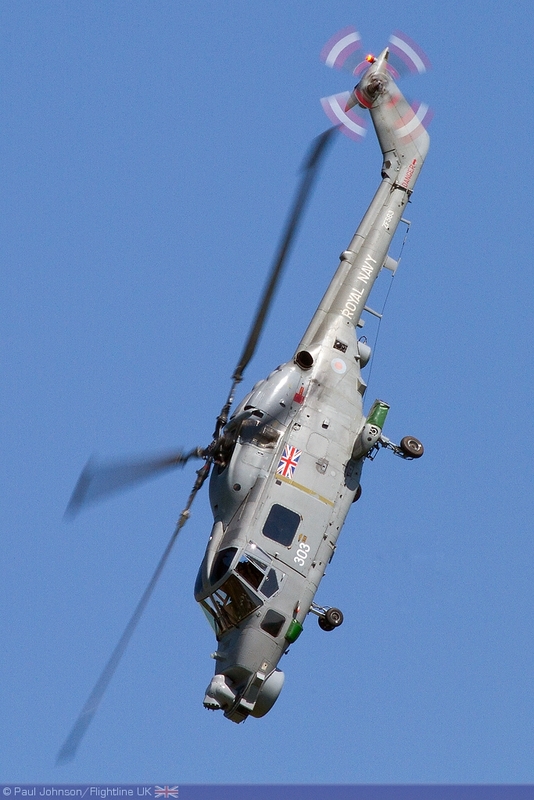 The navy Lynx was a significant participant having been flown by Prince Andrew and also an example of a type that participated in the Falklands War over 30 years ago. 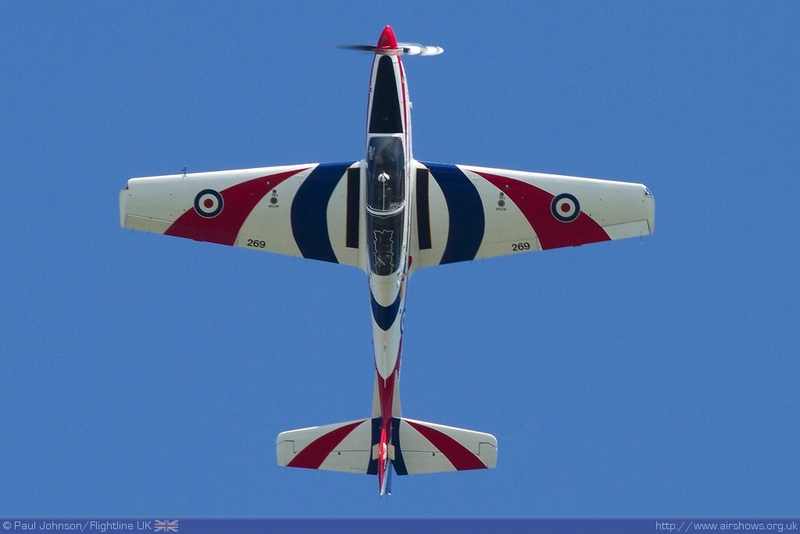 The Royal Air Force was out in force with a number of solo displays. 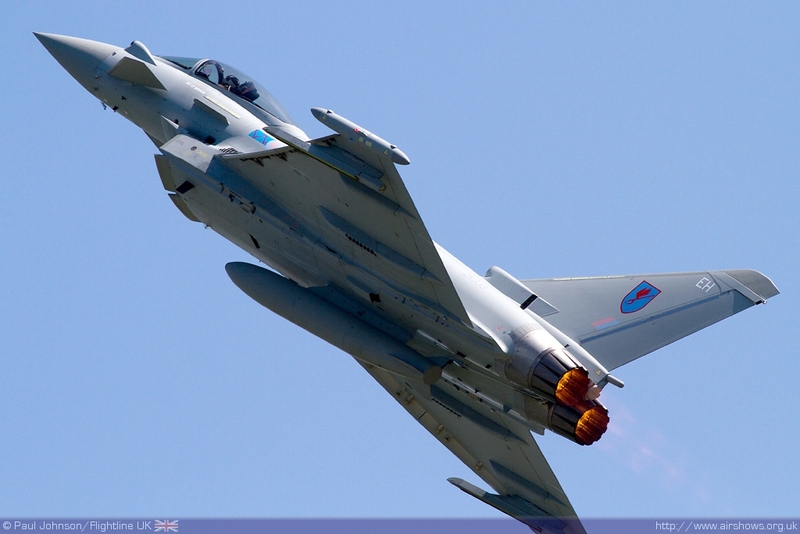 Opening the show was Squadron Leader Scott Loughran in the Typhoon FGR4 making a welcome return to Duxford after the type missed the 2011 display season due to operations over Libya. 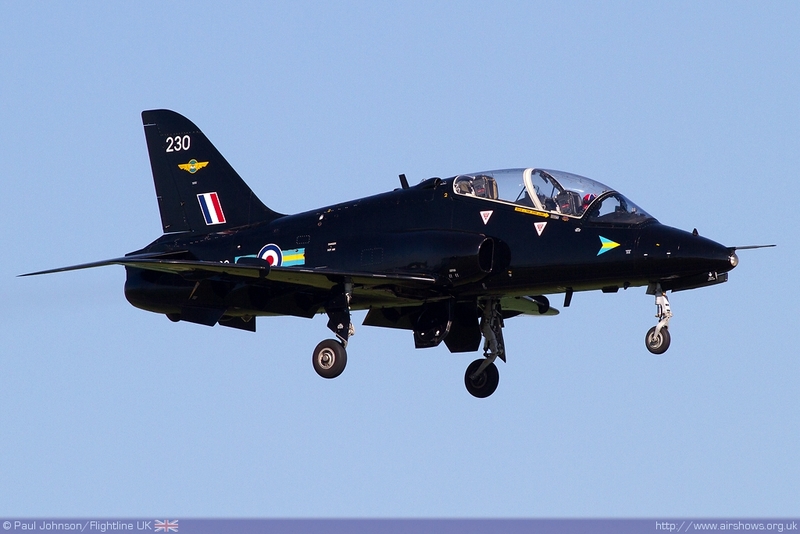 Alongside the Typhoon were the Tutor, Tucano, King Air and Hawk solo displays. 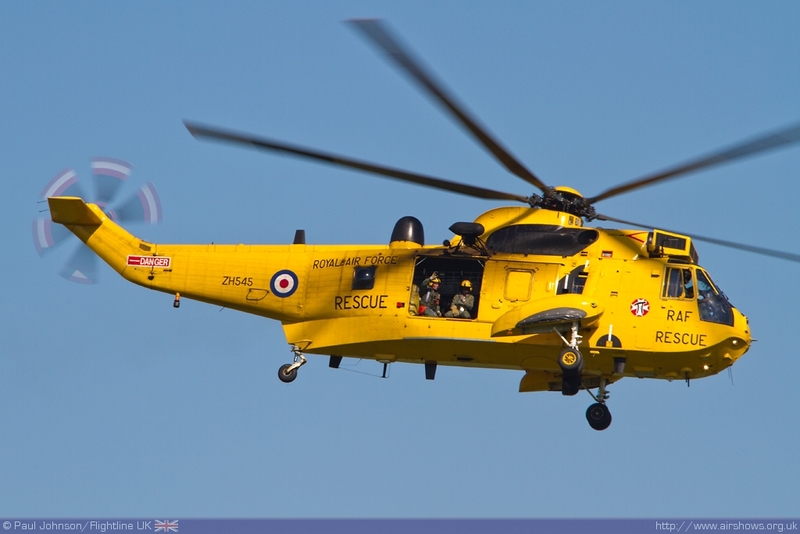 There was also a rare display outing for Westland Sea King HAR3A from RAF Wattisham, another aircraft with royal connections as it is the type currently flown by Prince William. 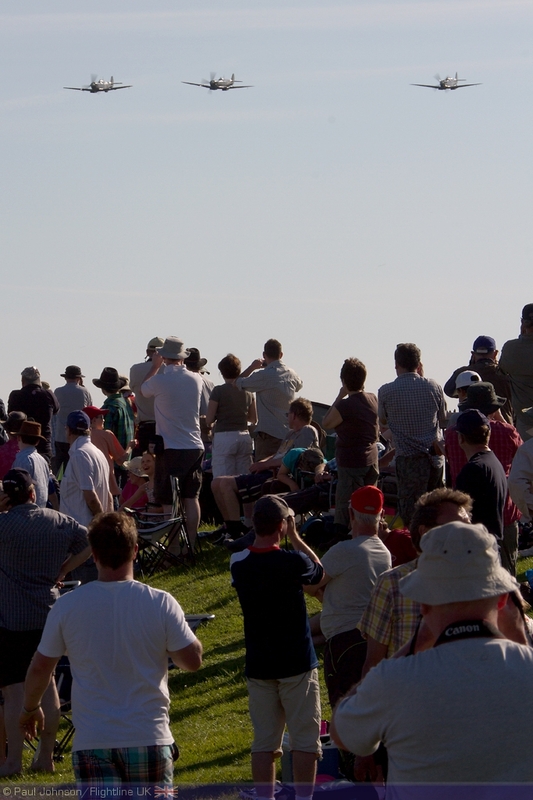 However perhaps the most exciting participants were those from Europe. 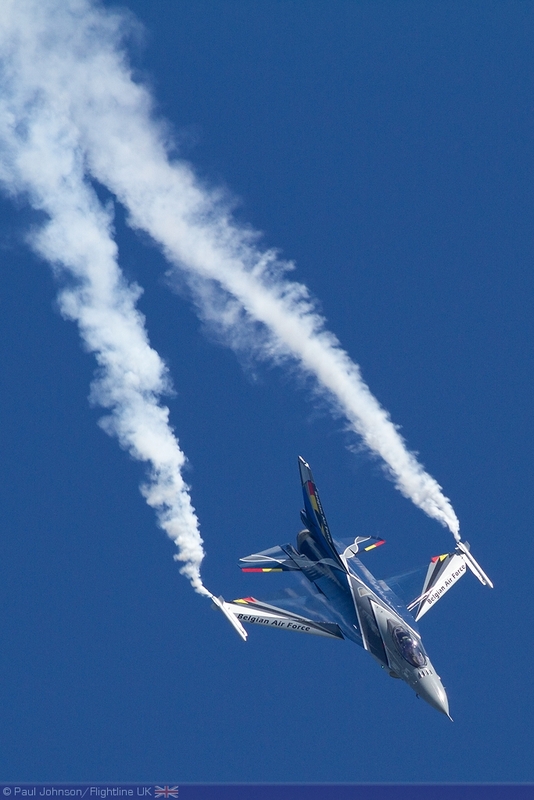 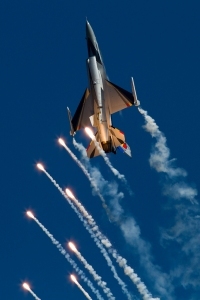 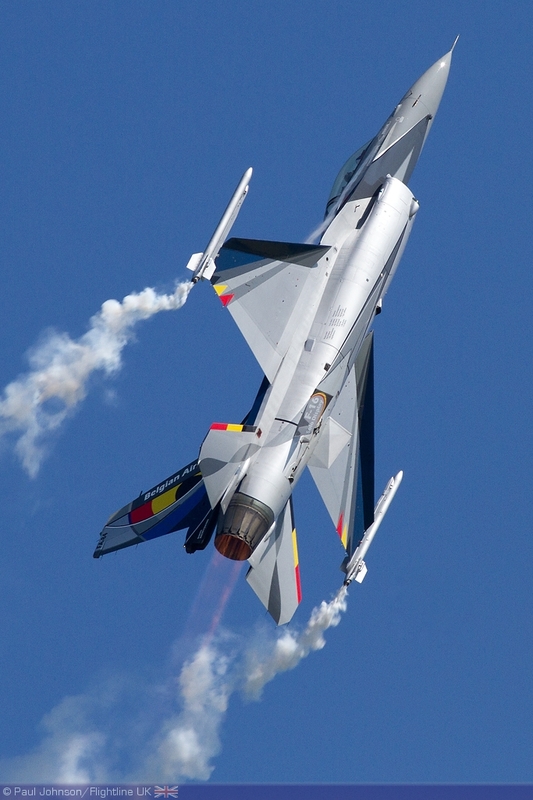 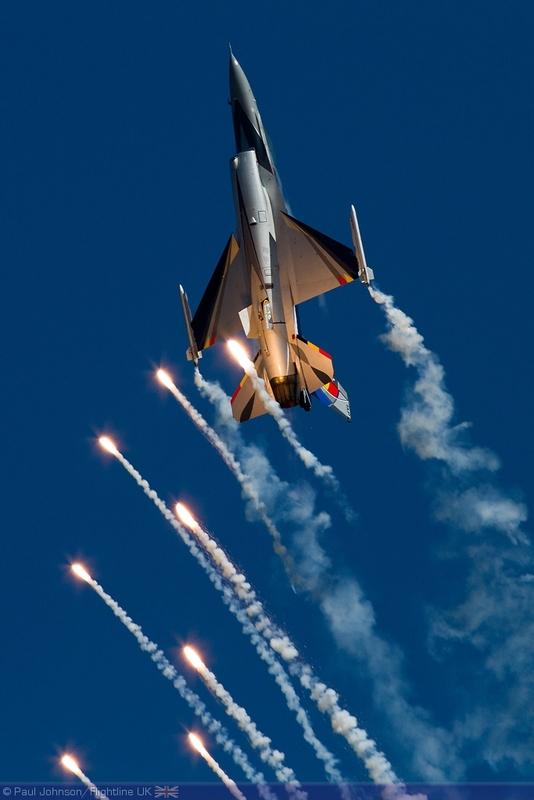 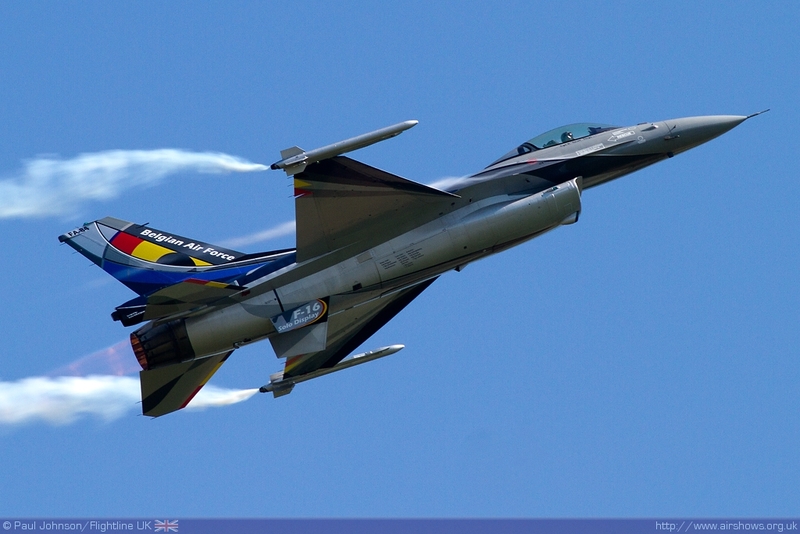 Duxford saw the first display of the season for Belgian Air Component F-16AM Fighting Falcon solo display from 360 Squadron based at Florennes flown by Captain Renaud ‘Grat’ Thys. 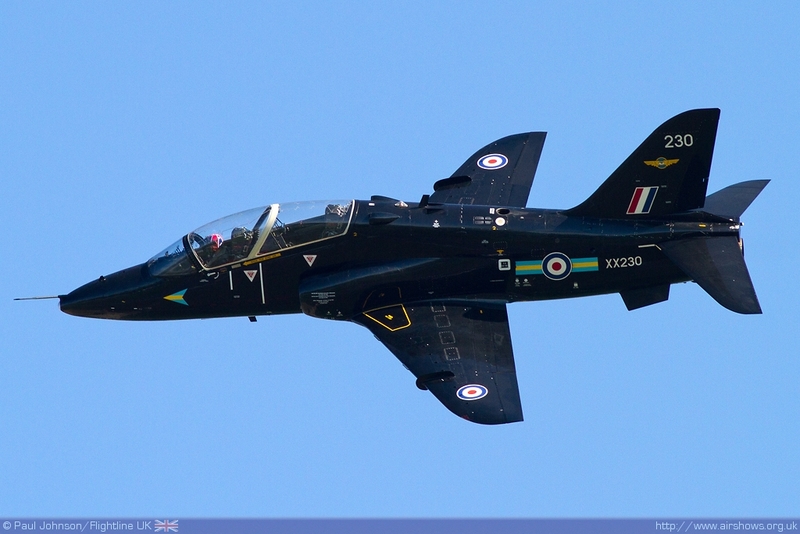 The display aircraft has a brand new scheme for 2012 which looked superb against the dark blues skies and illuminated by the liberal use of flares during the routine. 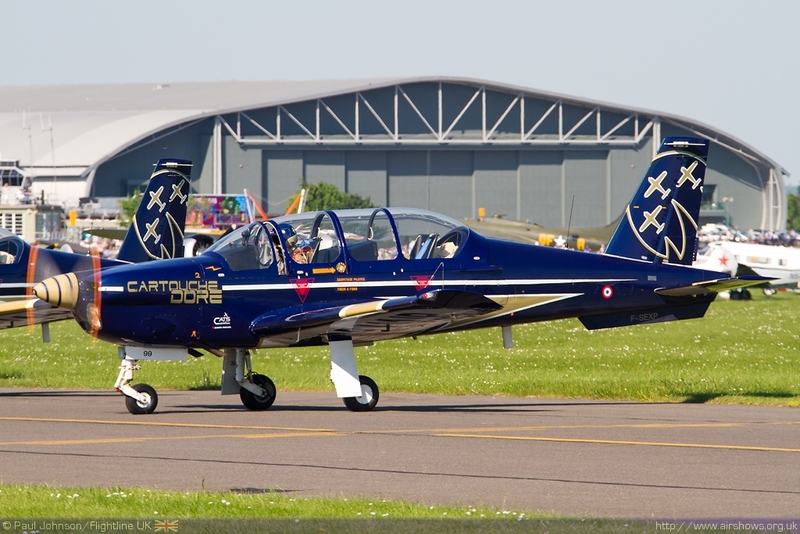 The French Air Force sent Patrouille Cartouche Dore who was making their UK mainland display debut at the show with their three SOCATA TB-30 Epsilon training aircraft from Cognac. 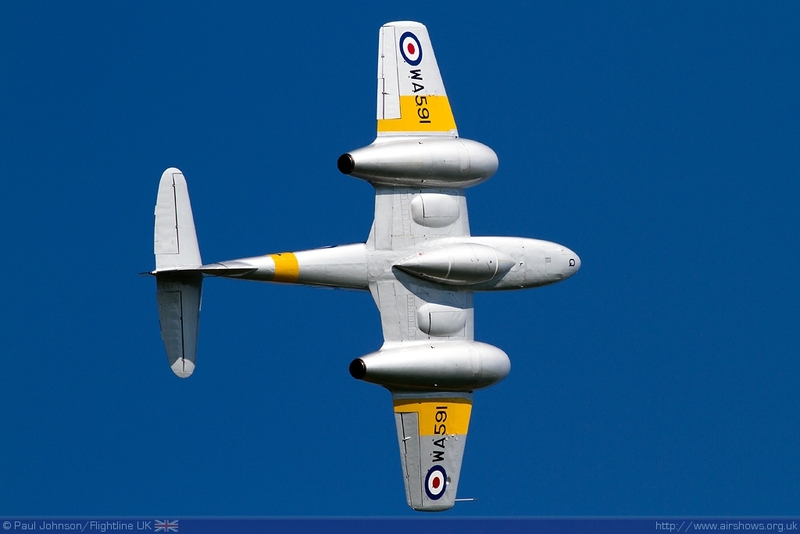 Duxford was also the team’s first public appearance wearing brand new and very smart gold, white and dark blue team markings. 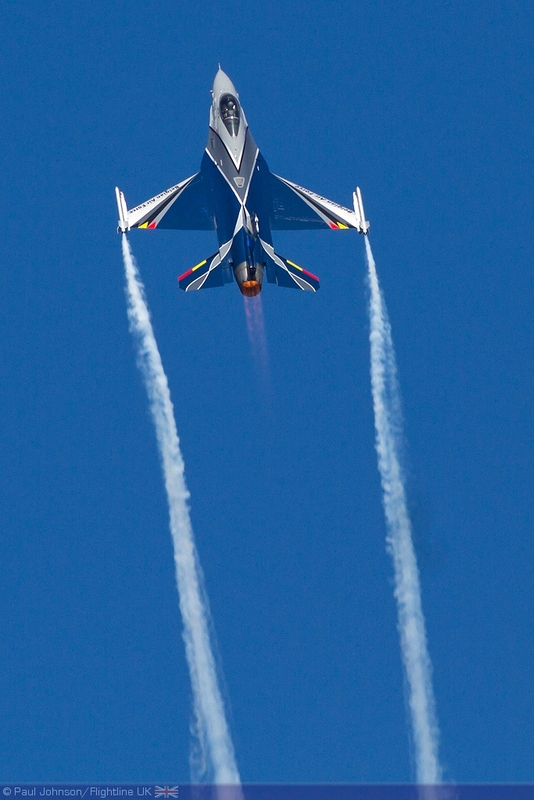 Though the team lack smoke systems, they fly some very tight and precise formations as well as some interesting tailchase figures. 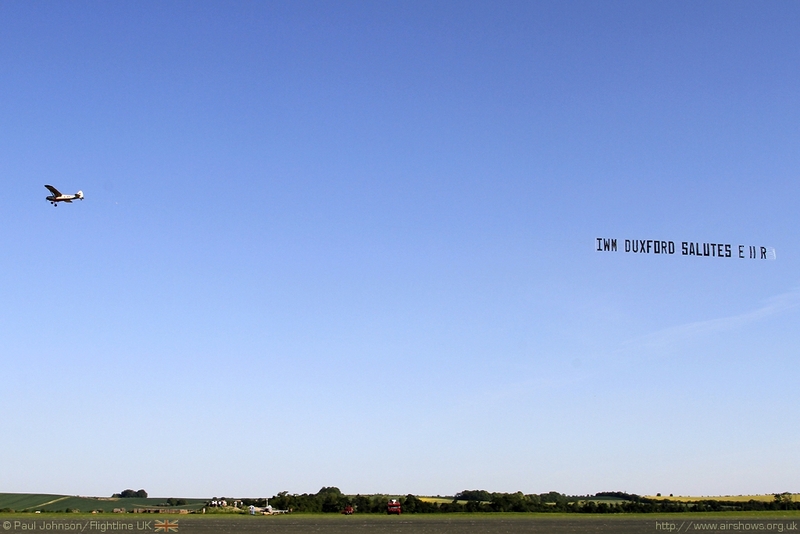 The show was closed by a surpiise banner tow by Anna Walker in her Piper Super Cub. 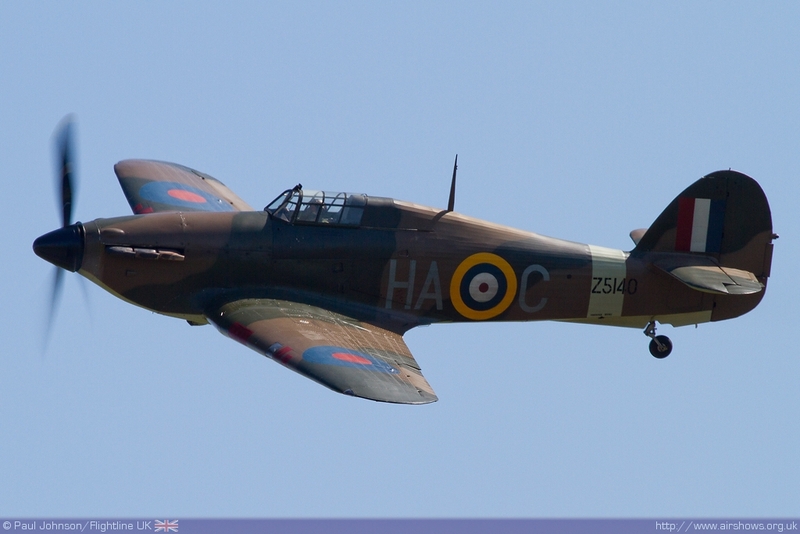 Soon after completing her display in the Harvard, she made her way over to nearby Fowlmere to set up a special banner and arrived just as the last Spitfire landing – a very nice touch to end a superb flying display. 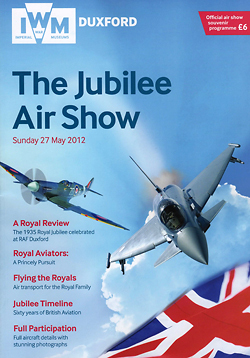 The Jubilee Airshow was certainly a stunning start to Duxford’s 2012 season of air displays with a great variety of display acts. 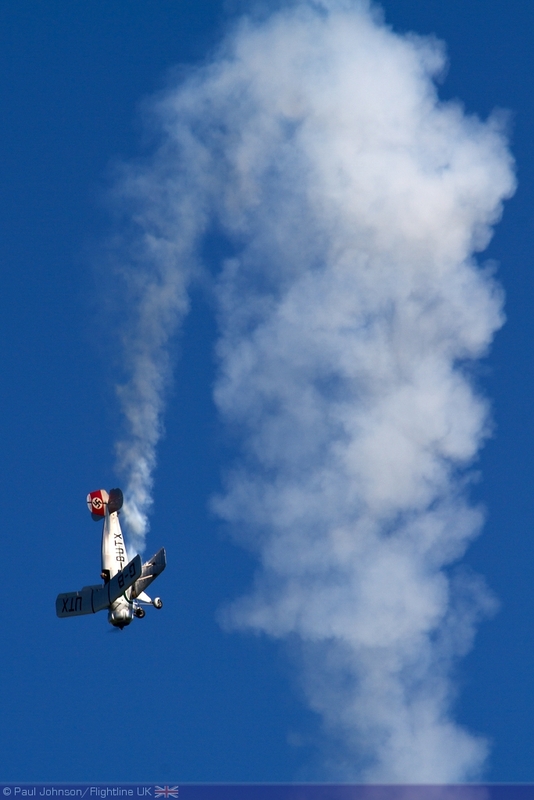 The added bonus of clear blue skies made this one of the most memorable Duxford shows which is high praise indeed considering the quality of Duxford’s shows in recent years.